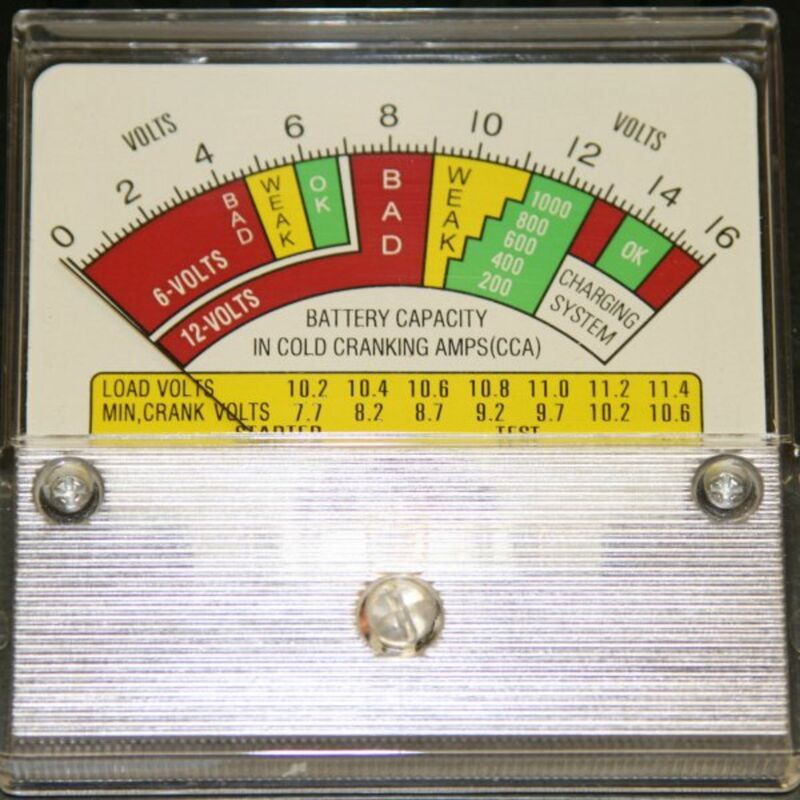 This unit is similiar to the unit we use to test all our batteries before we ship them, but in 6 and 12 volt analog display. 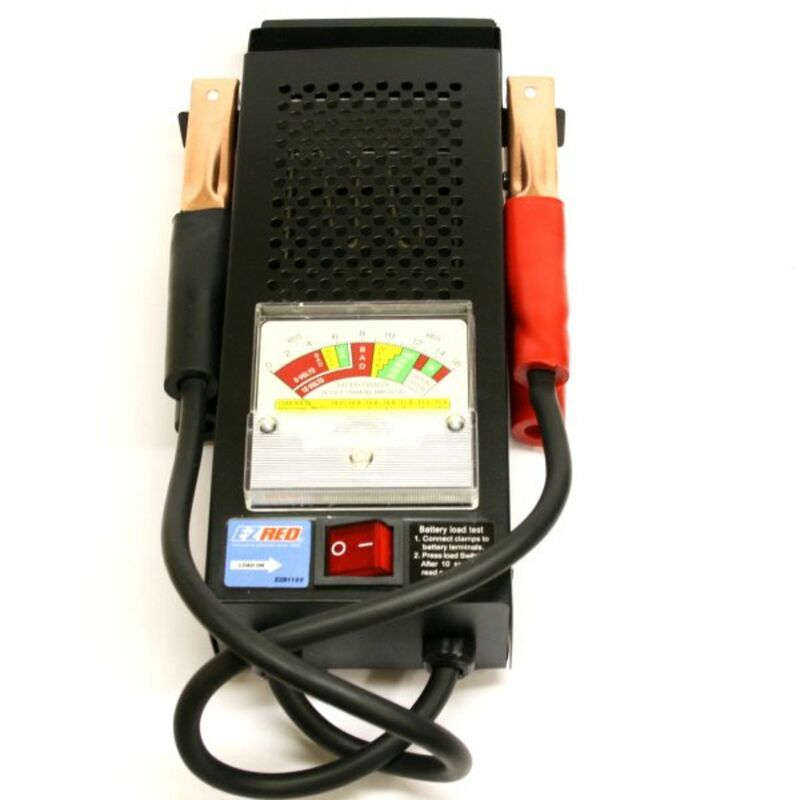 EZ to use 6 and 12 volt Battery Load Tester, push just one button and in 10 seconds the test is complete. Tests battery ratings of 200 to 1000 CCA range and tests 12 volt charging system. Unit weight 3 pounds. Measures approximately 11” x 6” x 2.5”. Basic use instructions: 1. Turn off engine and all electrical accessories. 2.Connect Black Clamp to battery negative. 3.Connect Red Clamp to battery positive. 4.Hold load switch for 10 seconds(15 seconds max). 5.Read meter with load still on and refer to table in analog gauge. * Flat Rate shipping is for the lower 48 states only. Do you own the EZB1100? Please, tell us what you think about it. It helps us provide you with better products. Please note that it may take up to 72 hours for your review to appear.